After teaming up with Disclosure on a new single earlier this month, Khalid has now revealed the artwork and release date for his sophomore full-length album. 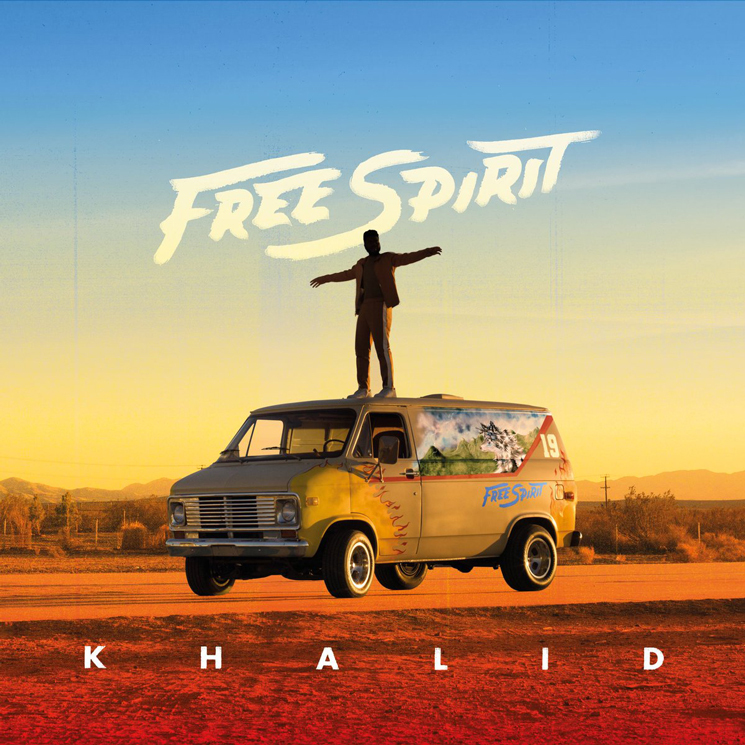 Titled Free Spirit, Khalid's latest will arrive April 5 through Right Hand Music Group/RCA. While a complete tracklist has yet to be revealed, the effort will mark the follow-up to his 2017 debut American Teen. Free Spirit's release will also coincide with the release of a companion short film of the same name. The film will screen in select cinemas worldwide on April 3 and will also include an early listen of the album. Further details on the film and participating theatres can be found here. "This album is the culmination of all of the growth and experiences I have gathered over the past two remarkable years," Khalid said in a statement. "I have been in the studio pouring my soul and spirit to create a body of work that I hope speaks to each and every one of you." Khalid shared his Suncity EP last year. He's also set to be the musical guest on the March 9 episode of Saturday Night Live.